Trusted For 20+ Years With Your Tybee Vacation. Renovated, Historic Quarters at the Commissary may accommodate 33 people. Book all 3 and receive 15% off! Tybee Island's 5-Star inclusive wedding venue. Featured worldwide and offering over 7000 sq. ft. of event space. Welcome to Oceanfront Cottage Rentals, Tybee's most trusted vacation rental company with over 20 years of experience offering true Southern hospitality & the cleanest vacation rentals on the Tybee Island, Georgia! We have over 100 Tybee Island rentals waiting just for you. 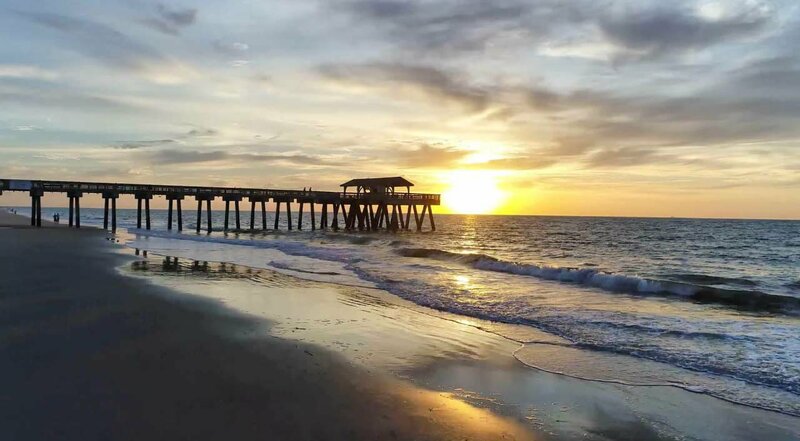 Whether you are looking for vacation condos, a charming beach cottage, or a large home for extended family and friends, we have the right Tybee Beach Vacation Rental option for you and your group. Complete with a full suite of amenities each Tybee Island rental is unique so be sure to confirm your rental has everything you'll need before you arrive. Note that Oceanfront Cottage Rentals is the only Tybee Island vacation rental company offering flexible check in and check out dates. Conveniently located many of our Tybee Island rentals are only a stone's throw from the beach or beach access. Other nearby attractions and activities include the Marine Science Center and the historic Tybee Museum & Lighthouse. There are so many things to do when you visit Tybee Island from outdoor adventures to boutique shopping, start planning your itinerary today! Looking for a break from the beach? Head to Savannah for an easy day trip, with a variety of museums, restaurants, and shops the options are endless. If you're planning a wedding that is even more reason to stay with Oceanfront Cottage Rentals. The Tybee Wedding Chapel is operated by Oceanfront Cottage Rentals making for convenient bride, groom and guest wedding accommodations and planning. A premier wedding venue, the seaside chapel is equipped with all modern amenities to hold the most beautiful wedding ceremonies. On the same grounds is The Grand Ballroom where you can conveniently host your reception without having to travel. No matter your reason for visiting Tybee, we can't want to have you. Contact us today to start planning your vacation, we'll help you find the perfect Tybee Island rental for your upcoming trip! I just wanted to drop you a line to let you know what a wonderful vacation we had last week during our stay in “Blue Skye.” The house was really nice and the views were better than I expected.